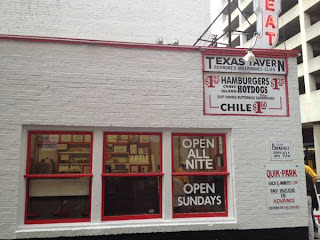 Hot dog from Texas Tavern. Fried chicken, NC barbeque, grits, and biscuits. Chains like Bojangles and the Waffle House that you can find off pretty much any highway exit. Also, after driving in the Bay Area, getting on I-40 at any time except rush hour is like being on your own private highway with extra wide luxury lanes. But back to the food. Going back home for a visit for the first time in three years, I felt the need to make the most of the week. 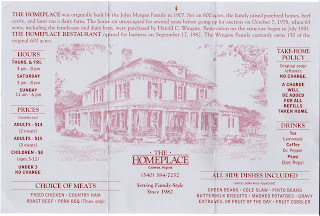 You can get a lot of great versions of southern food in CA, but none of them ever come close to the real deal. 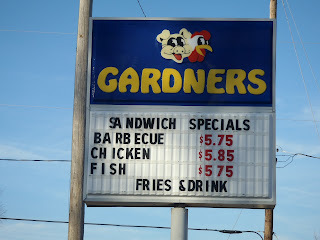 Fried chicken, buttered biscuits, gravy, mashed taters, biscuits and gravy, southern style hot dogs, pulled pork, hush puppies, fried chicken biscuits, bbq sammies. Near death experience. Totally worth it. It's a restaurant operated out of a large country house in the middle of nowhere, it's only open Thursday-Sunday 4-8, and they ought to make you sign a waiver before tucking in. 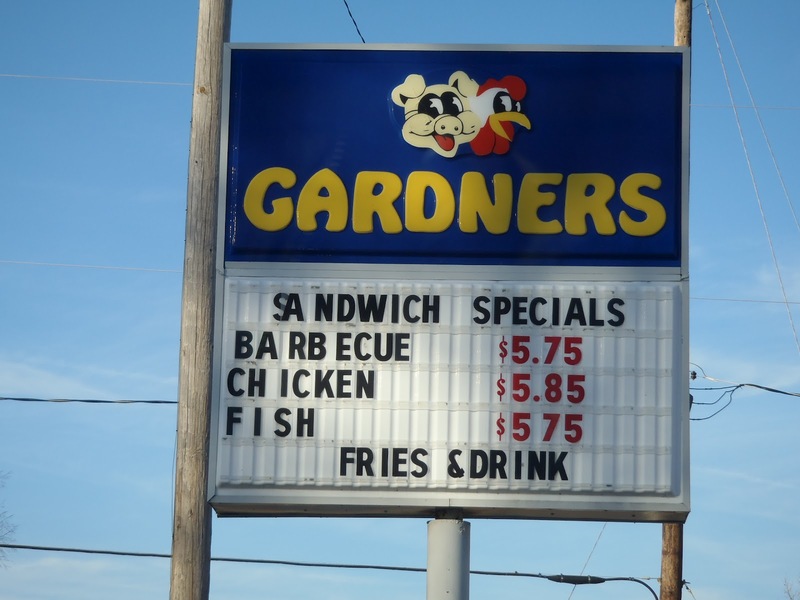 Here's the deal: you choose 1, 2, or 3 meats (fried chicken, ham, or roast beef) and they bring out sides (mashed potatoes, biscuits, slaw, stewed apples, apple butters, green beans, gravy). When you want more of an item, you ask the nice people to bring you some. They refill your sweet tea when it falls below the halfway mark. Eventually, someone asks you if you want dessert. 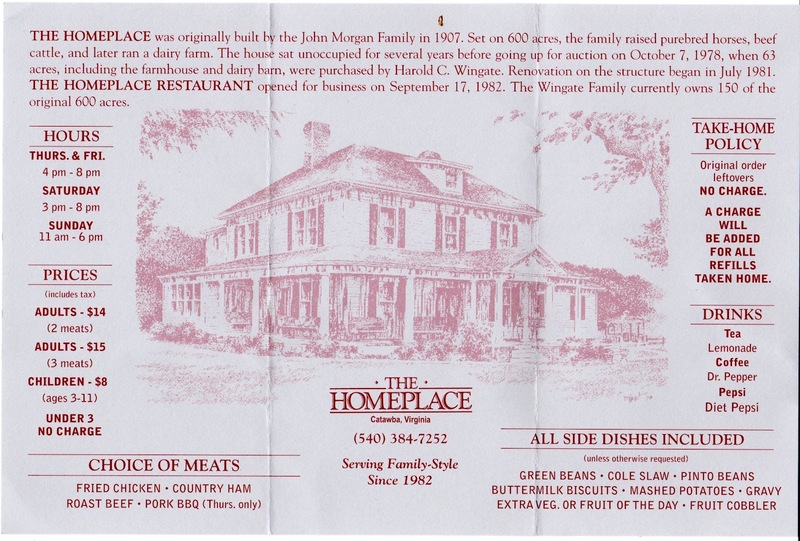 It's somebody's grandma's southern home cookin'. My advice? Bring your largest pants. It's a little divey looking joint in downtown Roanoke that you should absolutely check out. It's been around since 1930 so they must be doing something right. 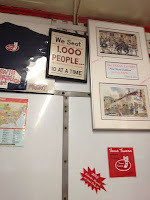 The counter is small and maybe seats 10-12 people, and the menu is short and basic. Get the hot dogs with everything, aka the fixins'. A very nearly pink dog, steamed bun, hot dog chili, chopped slaw, mustard, and onions. 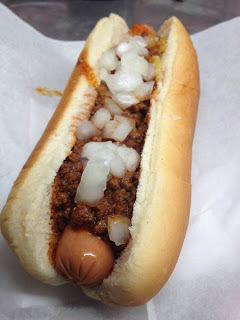 The hot dog chili is different from the regular chili that they also offer, just in case you were wondering what else to sample. They also have burger called the Cheesy Western, which comes with cheese (of course), pickle relish, and a fried egg. Located in the Proximity hotel, this is the sort of place that makes me think I could survive moving back to NC. The menu looks to be somewhat seasonal, and is very reminiscent of the sort of “farm-to-table” dining that the Bay Area is nearly over-saturated with. They have a lot of American/Italian classics and comfort food. I highly recommend the duck confit sliders; the bacon, onion, and cheese flatbread; and the spaetzle with emmentaler. Everything we tried was amazing, and they have an excellent wine list, especially heavy in CA wines. Okay, listen closely. Are you listening? SUNRISE BISCUIT KITCHEN!!!! Mmmkay? This is an institution. 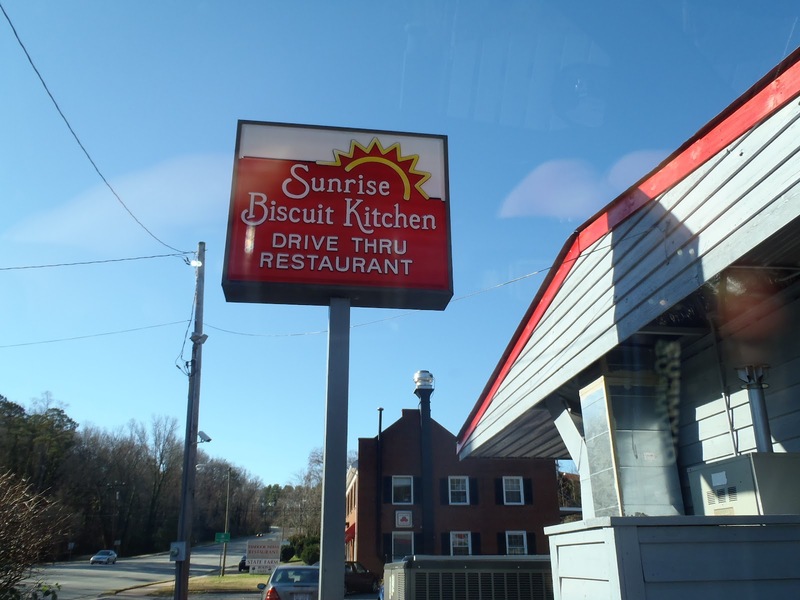 There is nothing like it in the world, and if you are in Chapel Hill and you are not planning on visiting this magical land of biscuit perfection, then rethink your plans. You drive up, order, receive biscuit, find spot to stuff face, feel the light biscuit bliss fill your soul with fluffy, buttery happiness. 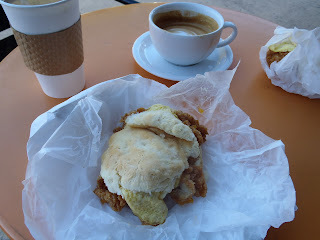 Best thing ever: chicken, egg, and cheese biscuit. Close second: bacon, egg, and cheese biscuit. Newish restaurant in CH serving up some que where the old BBQ Joint used to be (don't be sad, that place was never any good). The Pig makes me almost, almost want to move back just so I can eat there all the time, or at least until I reach Paula Dean status. 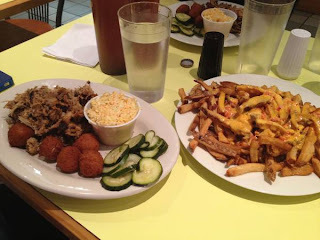 House made hot dogs and pickles, classic BBQ plates, and wait for it...wait...PIMENTO CHEESE FRIES. Holy sh*t. If you are sharing, be prepared for a fight over those fries. The meat is not some factory farmed Smithfield ham thang—it is sustainable and hormone free, and that makes it even tastier! Pig, where have you been all my life? Why must you be so far away? BBQ plate and cheese fries. Hot dogs already consumed. 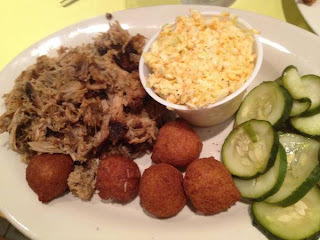 Carolina style BBQ, not glamorous, not trendy, just pulled pork and hush puppies. Sammiches wrapped in paper with the grease lightly visible. Checkered plastic table cloths. What more could you want? Well, apparently one of their locations has a buffet. It's best that we didn't find it, because I don't have a will written out, but maybe next time I’ll be more prepared. This is road food; get a sammich, drown in pepper vinegar, eat in the car so no one can see how messy you are.